Weekend Traffic Alert, March 15-17, 2013. The Brooklyn Bridge will be closed to Manhattan-bound traffic from 12:01 am to 7 am Saturday and 12:01 am to 9 am Sunday to perform necessary long term rehabilitation and repainting work. Brooklyn-bound traffic will be maintained as will the pedestrian and cycling path. Manhattan-bound motorists will be detoured to the nearby Manhattan Bridge. The northbound FDR Drive exit to the Brooklyn Bridge will be closed starting one hour before the bridge closure hours.The south outer roadway of the Ed Koch Queensboro Bridge eastbound to Queens will be closed Saturday and Sunday from 2 am to 2 pm to facilitate MTA overhead track structure work. During this time, motorists should use the lower level of the bridge at 2nd Avenue and East 59th Street or enter the upper level (passenger cars) from East 57th Street or East 58th Street between 1st and 2nd Avenues in Manhattan. The weekend work is expected to continue into early April. The northbound Harlem River Drive entrance ramp at West 155th Street will be fully closed on Saturday from 6 am to 6 pm to install safety barriers. In order to complete this work a full closure of the ramp is required. Closures will begin at 6 am and continue until 6 pm. This work is weather sensitive and may need to be rescheduled to the alternate rain date of Sunday. The FDR Drive southbound exit to East 71st Street will be closed Saturday and/or Sunday from 6 am to 6 pm to facilitate crane operations. Motorists should use the East 63rd Street exit. 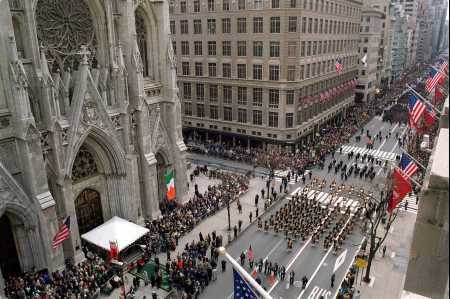 Stone Street between Hanover Square and Broad Street and Mill Lane between Stone Street and William Street in Manhattan will be closed on Saturday and Sunday from 11 am to 11 pm for the Stone Street St. Patrick’s Day Festival. Detailed information on weekend street closures will be available on the DOT web site at: http://www.nyc.gov/html/dot/html/motorist/wkndtraf.shtml.